Home > General Notions > ByAnnie Double Slide Handbag Zipper 30"
ByAnnie Double Slide Handbag Zipper 30"
These hard-to-find nylon-coil zippers are perfect for bags and carriers. 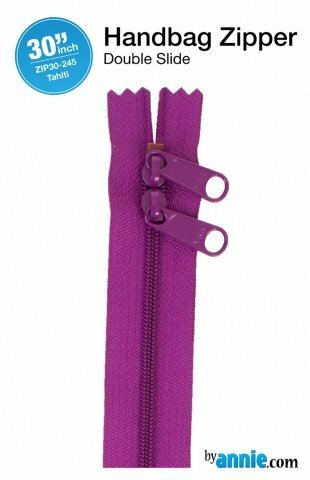 The double slide also enables you to make two single-slide zippers. For example, if you only need a 22" single-slide zipper for your project, you'll still have an 18" single-slide zipper left for another project. Visit our blog for instructions.